Is a Geography Degree worth it? I’m embarrassed to say that most of us who heard this question only really had anecdotal evidence. However, some of us came away from our meeting inspired by Chuck, instead of dejected. Rather than wait to do something, we reached out to around 60 of our recent graduates (May 2018, December 2017) with a Google poll to see how they were doing immediately after graduation. In my last post, I showed you how to create multi-ring, non-overlapping buffers with spatial SQL in PostGIS. In this post, I want to do the same thing, but with Manifold GIS. 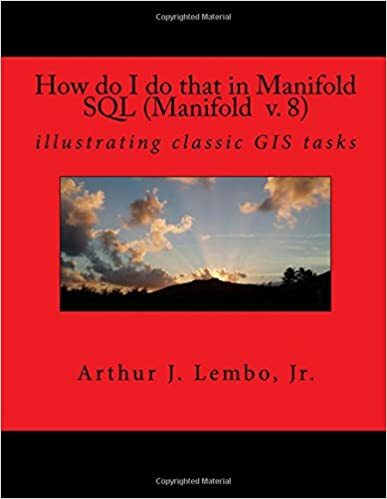 To be honest, it is pretty much the same thing, although, I think Manifold is a little easier because they utilize a FIRST aggregate function in SQL, where in PostGIS, we had to use a DISTINCT ON. Either way, it is pretty easy, so now database and SQL professionals have a way to create multi-ring buffers entirely in SQL. Lots of people ask me how to get data into Postgis. This video is a quick 8 minute demonstration of 6 ways to get data into Postgres – 4 free (PGAdmin III, shp2pgsql, ogr2ogr, QGIS Database Manager) and two commercial. (Manifold 8, Manifold 9). Now, in this case I’m only working with a shapefile and Postgres. I will do another post that works with other data (geodatabases, Autocad, etc. ), and other databases (SQL Server, Oracle, etc.). I hope you enjoy it. Also, if you have other ways you like getting data into Postgis, leave a comment below…. 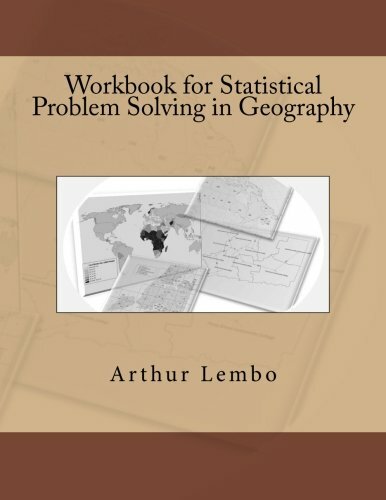 want to learn how to use PostGIS, QGIS, Manifold, or other advanced GIS tools. Check out my courses here. Some of the catchy titles are Big Data Analytics with GIS, Manage Spatial Data with Microsoft SQL Server, Enterprise GIS with Open Source Software, Spatial SQL With PostGIS , and Python for Geospatial. DEM Processing – return of the beast? Tell Manifold their process is slower than I would like. Manifold writes back that things are pretty good. Then, send them timing comparisons with ArcGIS. Sit back and wait – about a day later the issue is fixed, and Manifold is really fast for that task. I think a big part of the above steps in #3. Whenever you can show the team at Manifold that their process is slower than ArcGIS, MapInfo, QGIS, Postgis, or anything else, they quickly move on it. Also, the nature of their builds is such that they can very quickly issue updates. It’s one of the things I really like about the product, they love making improvements. A discussion ensued on the georeference.org forum on March 9, and a number of users validated my findings on their own. Fast forward to March 12, and a new release of the Edge builds came out to address the issue. Now, the same process runs in 3m in Manifold 9. For those with a stop watch, it went from 1561s to 182s. That is an improvement of 8.5X. Not bad for a 3 day turn around. If you want to learn more about Manifold and big data analytics, check out my courses at www.gisadvisor.com. (yes, I meant to say Beast). Today I began to experiment with processing some large raster DEMs, and making contours. I used ArcGIS, Manifold 9, and GDAL. This was a nice initial test, and you’ll see some of the results and what I had to wrestle with below. I think a lot of my friends could offer me advice on how to improve this test, and I would welcome that. I ran the contouring tests on a 64-bit Dell Precision T1700, i-7 3.4GHz processor with 18GB of RAM. I used GDAL, Manifold Viewer (Edge version), and ArcGIS 10.3. The next test was to use Manifold. I had Manifold 9 import the DEM data. It took about 2 minutes to import the 13.5GB raster into Manifold. From there, I used the contouring transform tool with “Run in parallel” checked. The process completed in 1561s (24m 1s). Twice as fast as GDAL. However, I was surprised to see that the contours were completed in 7m 45 seconds – by far the fastest result. I thought I must have done something wrong, so I ran it again, and instead of creating a geodatabase, I wrote the results out to a shapefile. The timings were almost identical. The next question, of course, was to see any differences in the results. As you can see, Garrett County, even at 10m has fairly dense contours. I decided to bring all three results into a single window. You’ll see the red, green, and yellow (I changed the line thicknesses). All three products yield the same results. So, they are obviously using a similar algorithm. I was surprised that GDAL was so much slower. Most people really like the speed of GDAL, but ArcGIS totally crushed it. Also, seeing Manifold totally pinning the CPU in the parallel processing capabilities, I was surprised that ArcGIS was many times faster. I wonder if using Manifold 9, rather than Manifold Viewer (Edge) might make a difference. If anyone wants access to the dataset I used, feel free to email me. I was honored to receive the 2018 University System of Maryland (USM) Board of Regents Faculty Award for Teaching. This represents the highest award for teaching in the University System, and out of thousands of USM faculty, only 4 are chosen each year. I want to thank all my colleagues in the GIS field who wrote letters on my behalf*. It was humbling to read the letters, and gratifying to have made so many good friends over the years. I was particularly struck by the fact that this award could have easily gone to a poet, philosopher, or physicist, but instead went to some GIS guy. This is an opportunity to celebrate that GIScience is making significant headway into education, and the education community is showing their appreciation of it. Here’s a cool one from years back – it is a video I made in 2009. I was doing some work on pipelines, and we were interested in determining the flow through a directed network. I thought I’m way over my head, when I heard what my friends wanted to do. The algorithm I wanted to try out was called the Ford-Fulkerson algorithm. On the way back from Las Vegas (I was speaking at a Manifold user conference), I tried to replicate this in Manifold 8 – never expecting it to work, I just tinkered with a few pieces of it. To my surprise it started to work. Then, within an hour, I actually had the application correctly scripted. I was going to just stop and enjoy the rest of my flight home, but I usually can’t get this stuff out of my head, so I kept going. By the time I landed, I had the application running under different scenarios. Anyway, here is a video I created when I got off the plane. It shows a very crude, but interesting first step in doing flow apportionment with SQL in Manifold 8.
if you want to learn how to use spatial SQL to do things like this, check out my online video classes at gisadvisor.